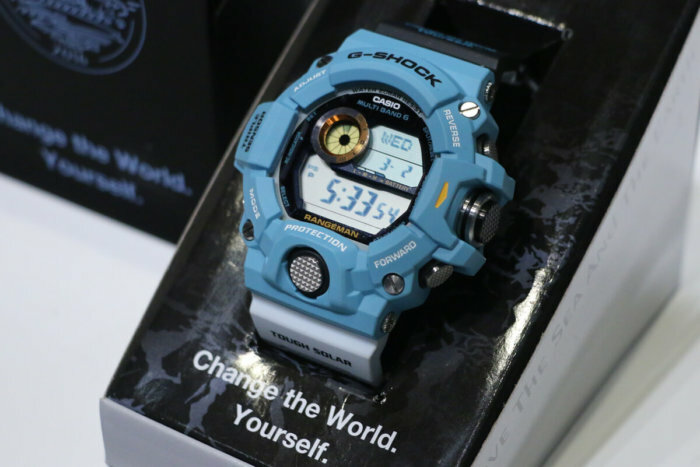 Casio Japan has another round of Love The Sea And The Earth limited edition G-Shock watches on the way for a summer release. 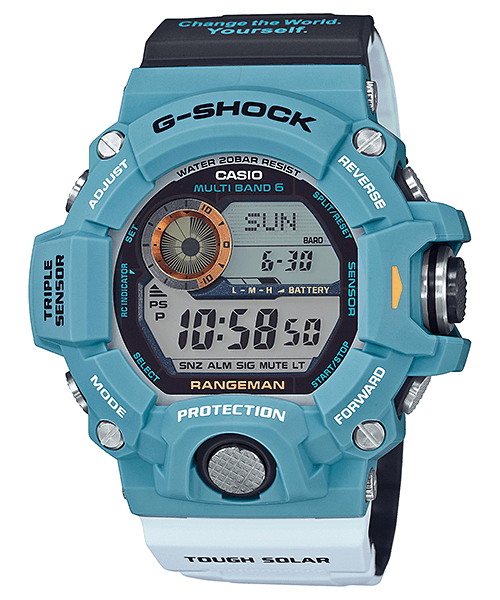 The G-Shock GW-9402KJ-2JR Rangeman is a Love The Sea And The Earth 2016 Earthwatch special edition. The watch has a light blue bezel, a black upper band with the “Change the World. 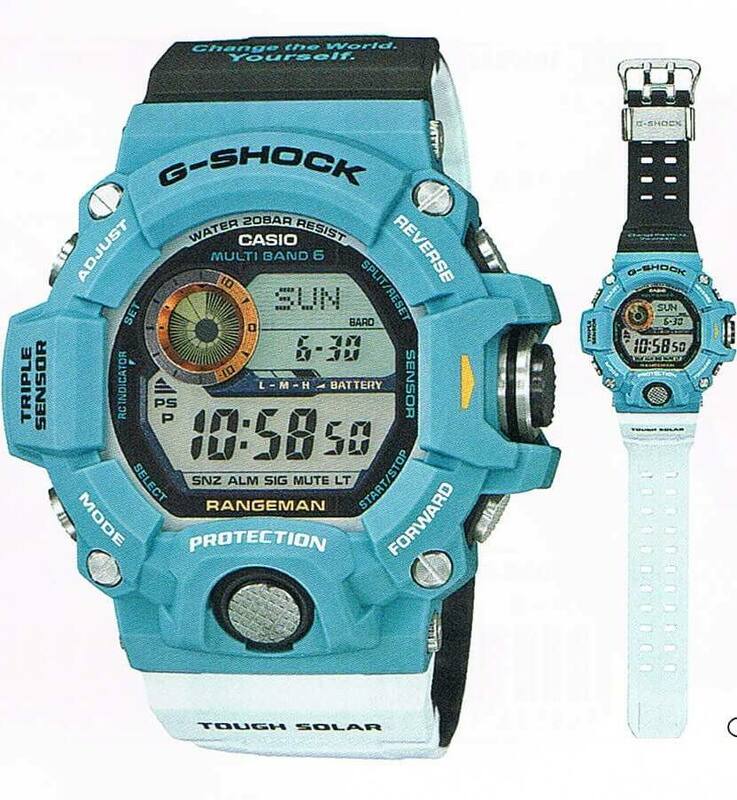 Yourself.” motto in light blue, and a white lower band. Like last year’s animal-themed GW-9401KJ-3JR that was inspired by the green color of the ghost glass frog, this year’s edition is inspired by the blue-footed booby bird of the North and South American regions of the Pacific Ocean. The black and white bands represent the bird’s black wings and white body and the underside of the bands are the opposing color. 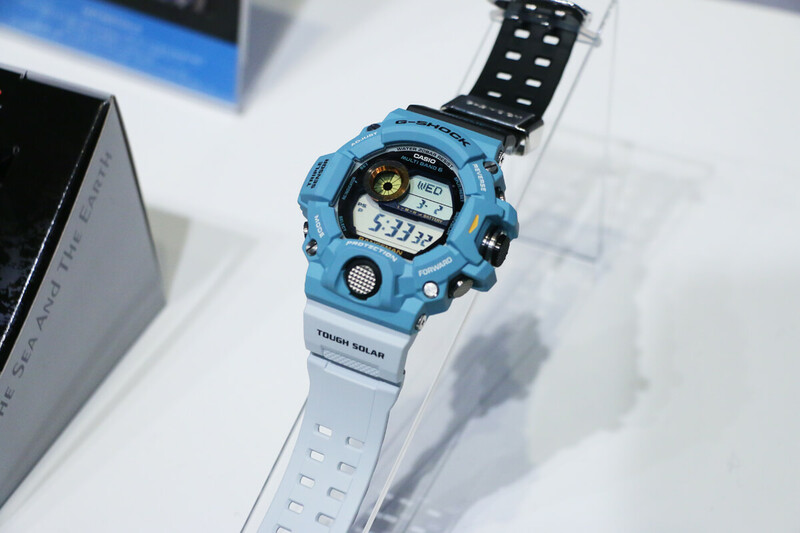 The GW-9402KJ-2JR Rangeman will be released in June 2016 in Japan. Retail list price is ¥51,000 JPY.